DIFFA/Dallas, one of the largest HIV/AIDS fundraising organizations in North Texas providing education and direct care service grants for men, women and children affected by HIV/AIDS, has revealed plans for the 29th House of DIFFA, the organization’s largest annual fundraising event of the season. With more than 1,800 people in attendance, this extraordinary event will take place Saturday, March 16, 2019 beginning at 6pm at the Omni Dallas Hotel with special guest, Bravo TV star Carson Kressley, serving as celebrity presenter and Dana Goldberg as celebrity auctioneer. This year’s theme, House of DIFFA:Futuro, looks to an incredible new world that is free of pain and suffering caused by HIV/AIDS. “House of DIFFA: Futuro celebrates a future with Zero stigma, Zero deaths, and Zero new infections. Advancement in medication, education, and the amazing work of our AIDS Service Organizations are enabling a Future of Zero to be within reach. 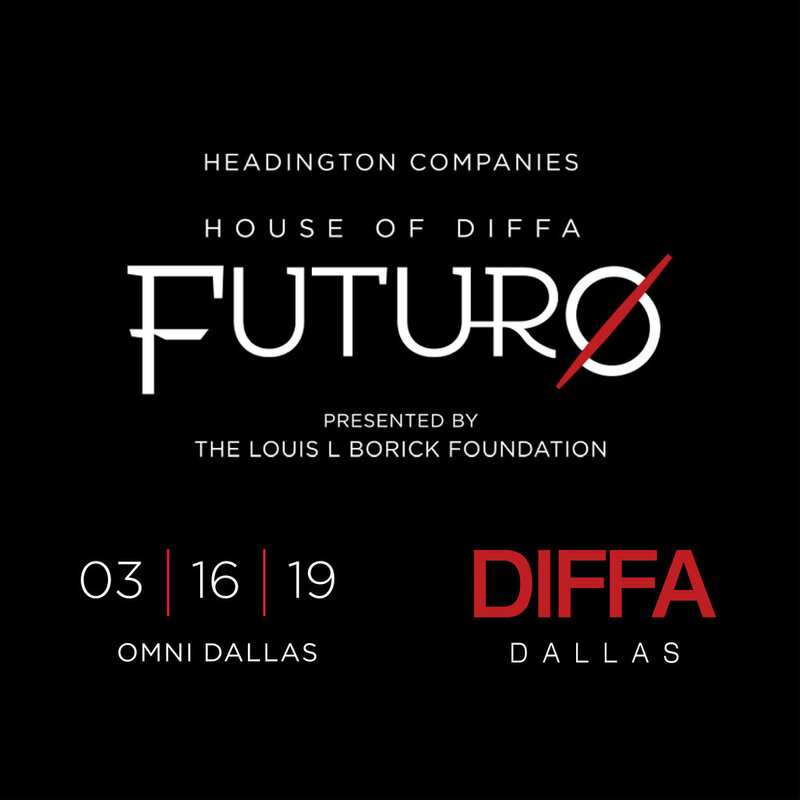 House of DIFFA: Futuro will bring to life the future that DIFFA Dallas is committed to reach, a future without HIV/AIDS,” says Tim Garippa, House of DIFFA: Futuro Chair. Undeniably the hottest fashion ticket in Dallas, guests will experience the most incredible runway show featuring elaborate performances and stylish looks from Traffic LA, Forty Five Ten and TenOverSix. DIFFA/Dallas’ renowned designer jacket collection will be available for auction showcasing donations from well-known local and national designers including Dolce & Gabana, Monse, Alberta Ferretti, Sies Marjan, Rosie Assoulin, Zac Posen, Theory, Ted Baker, and many more. An exclusive after party will ensure the festivities continue well in to the night with beats by DJ Lucy Wrubel. Interested in volunteering for an event, Young Professionals or just want to get involved? Contact us at Dallas@DIFFA.org or fill out the form below. DIFFA/DALLAS IS PROUD TO GRANT FUNDS TO several AMAZING AIDS SERVICE ORGANIZATIONS IN THE DFW AREA. Design Industries Foundation Fighting AIDS (DIFFA/Dallas) raises funds for organizations that aid in the fight against HIV/AIDS by providing preventative education programs, treatment and direct care services for people living with/impacted by HIV/AIDS. One of the largest and most successful fundraising organizations aiding HIV/AIDS, DIFFA is a non-profit service provider with chapters in Dallas, New York City, Chicago, Kansas City, San Francisco and Seattle. The Dallas chapter, formed in 1984, is the only HIV/AIDS organization in Texas that provides funding to local HIV/AIDS Service Organizations within our community. DIFFA/Dallas has granted more than $8 million to over 25 front line HIV/AIDS Service Organizations in North Texas providing direct care to those living with or affected by HIV/AIDS. 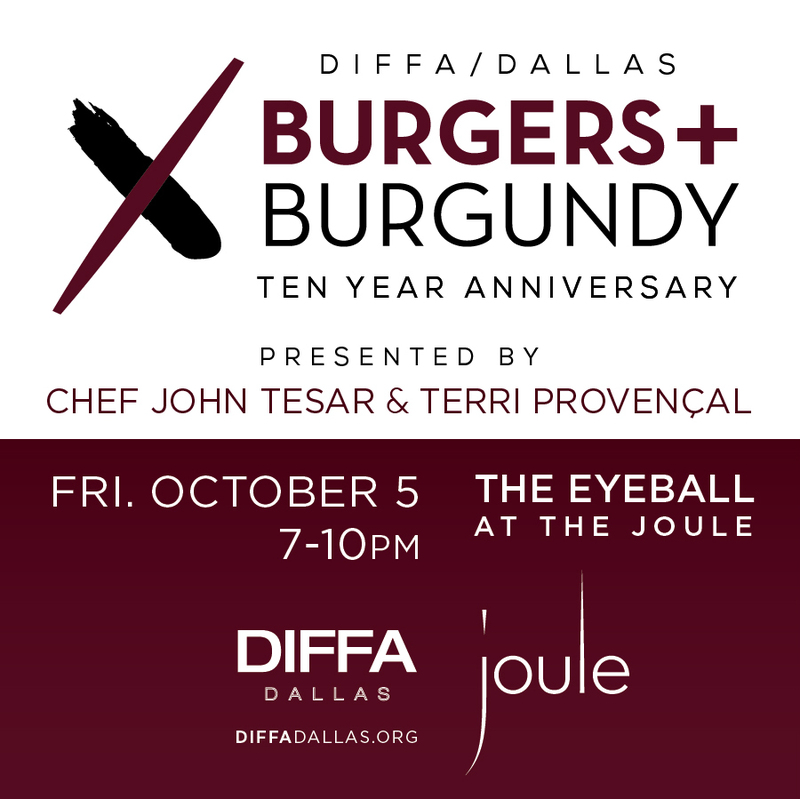 Highlighting the design community, DIFFA/Dallas hosts multiple events throughout the season including Burgers + Burgundy, Holiday Wreath Collection and House of DIFFA. Through your support and generosity, we are able to make a significant impact in our community. GRANT APPLICATION SEASON BEGINS IN SPRING 2019. For over 25 years, Legacy has been providing quality mental healthcare, substance abuse treatment, and special care housing services for people challenged with HIV and AIDS. If you’ve been recently diagnosed with HIV or even if you’re a longtime survivor but you need some emotional support, our Counseling Center has a number of therapeutic programs to suit your individual needs from one-on-one personal counseling to interactive group sessions. Resource Center is a trusted leader that empowers the lesbian, gay, bisexual, transgender and queer/questioning (LGBTQ) communities and all people affected by HIV through improving health and wellness, strengthening families and communities and providing transformative education and advocacy. Bryan’s House is a place of compassion and hope, where children with special needs and children impacted by HIV/AIDS can just be kids. We provide an environment where children can be free of the burdens of their illnesses or disabilities, and where they can instead focus on the important things in life… like learning to read a book, painting a picture, riding a bicycle, or simply having fun!. 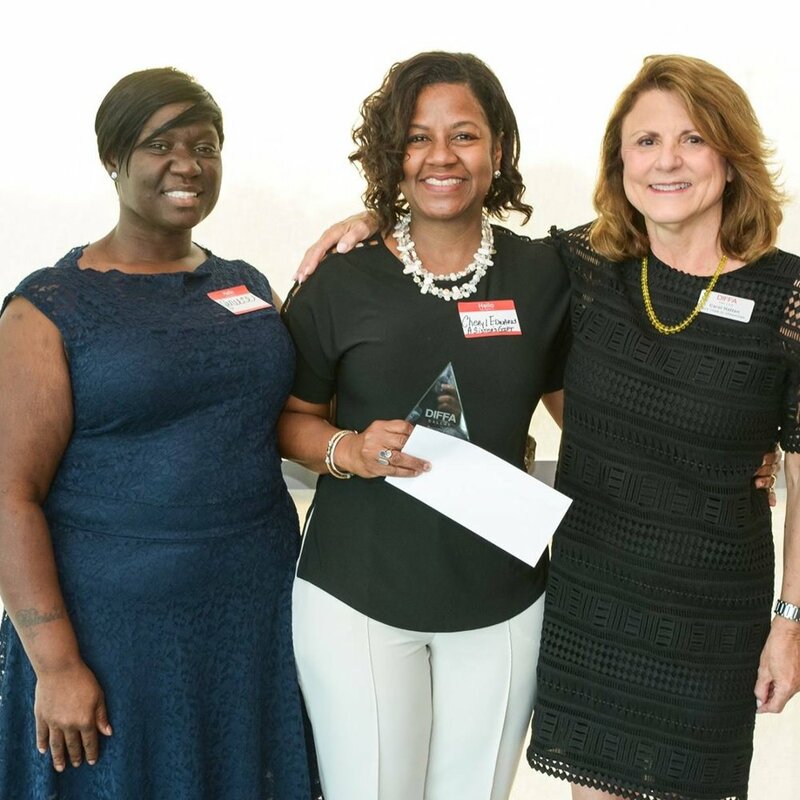 The donations given to DIFFA/Dallas help grant funds to local HIV/AIDS Service Organizations throughout North Texas directly impacting the community. 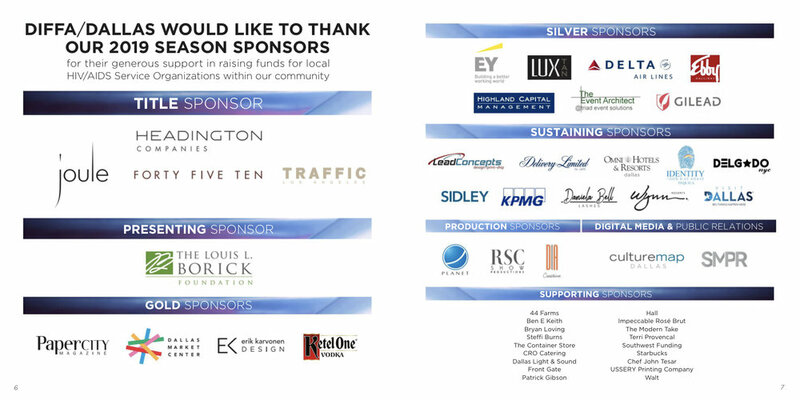 DIFFA/Dallas provides opportunities for sponsorships, underwriting, auction and In-Kind donations. With both silent & live auction packages available, this is an excellent opportunity to align your company brand with DIFFA/Dallas to show your support. For designers, DIFFA/Dallas has opportunities to create or donate custom jackets to be featured on the runway during House of DIFFA. Another excellent opportunity to support DIFFA/Dallas is by donating goods and services. These donations are extremely beneficial by allowing us to allocate more funds to those who need it the most. HELP MAKE A DIFFERENCE IN FIGHTING HIV/AIDS. 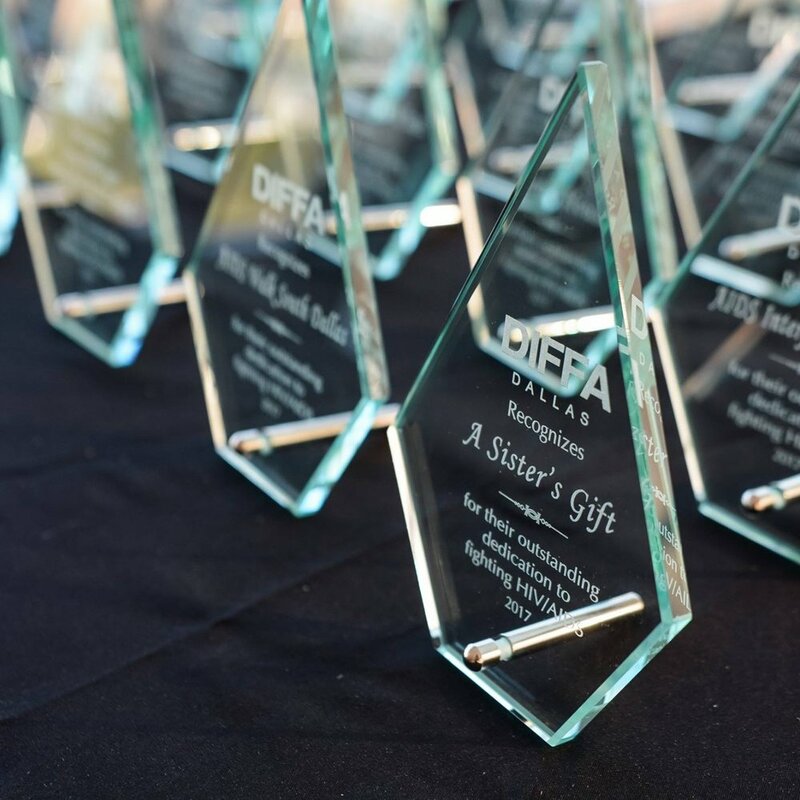 DIFFA/Dallas provides excellent opportunities for companies to promote their business to some of the most affluent, influential individuals in Dallas/Fort Worth. Between print, digital, broadcast and social media, by collaborating with DIFFA/Dallas, the exposure for your business is priceless. Underwriting opportunities allow us to create unique marketing opportunities with the option of naming rights. Many times we are able to customize exclusive underwriting opportunities to match your marketing goals. DIFFA/Dallas hosts the 23rd edition of the holiday season kickoff event. Designers from Dallas and beyond create holiday wreaths that become the center point of this event. DIFFA/Dallas presents House of DIFFA 2019. This extraordinary fashion experience provides an exciting mix of philanthropy, theatrics and DIFFA/Dallas’ legendary runway production for close to 2,000 patrons enabling grants for HIV/AIDS service organizations in North Texas.